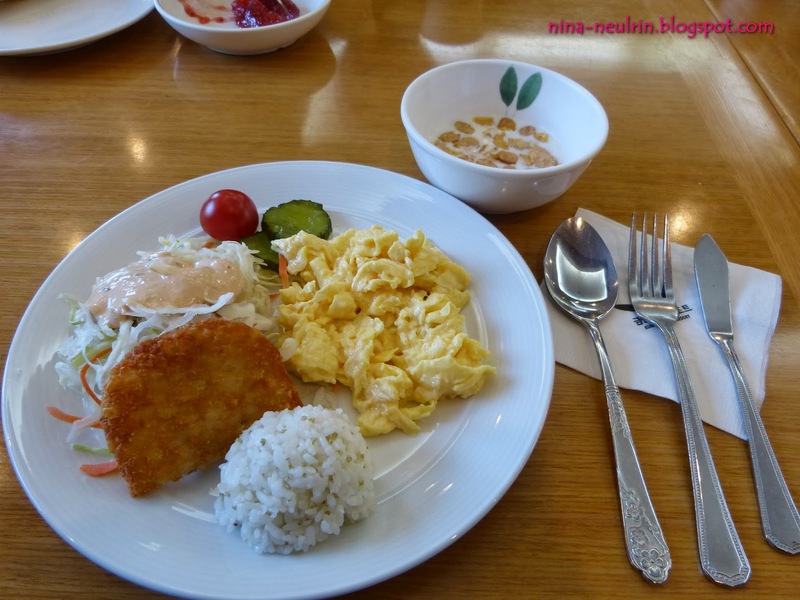 On Day 5 at Gangwon-do Province, it’s not too many place to do so we can wake up late in the morning and we take breakfast at our hotel around 9 am. After breakfast, I take chance to take picture at around our hotel because we just stay 1 night at that hotel. 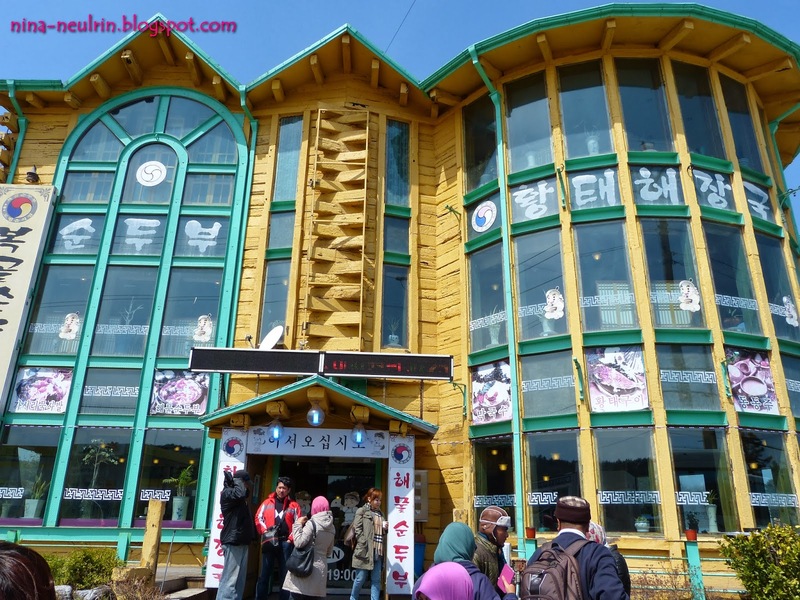 Then, we visit the most famous place of the most beautiful mountains are Seoraksan National Park. Seoraksan (1,708 meters) is considered one of Korea’s most beautiful mountains, and it’s the third highest mountain in South Korea following Hallasan (1,950 meters) and Jirisan (1,915 meters). 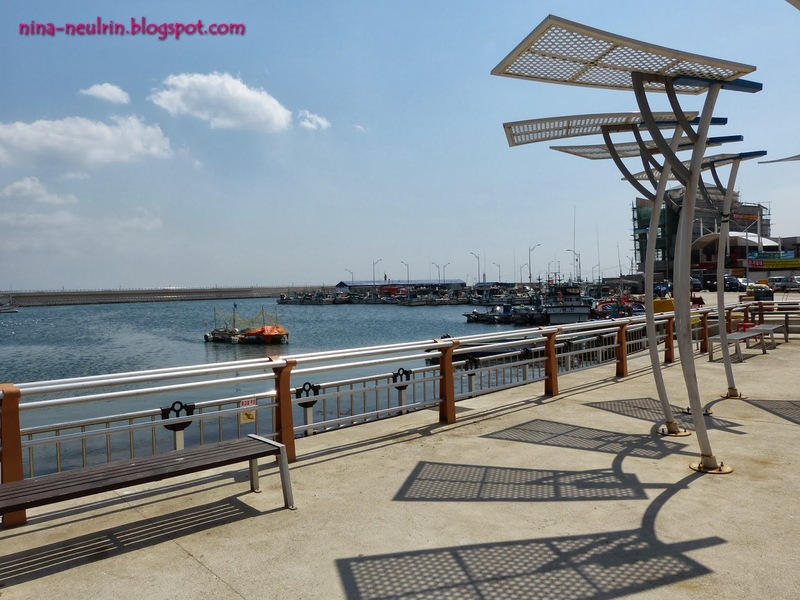 The park is spread across four cities: Sokcho, Inje, Goseong and Yangyang and the highest peak is Daecheongbong. 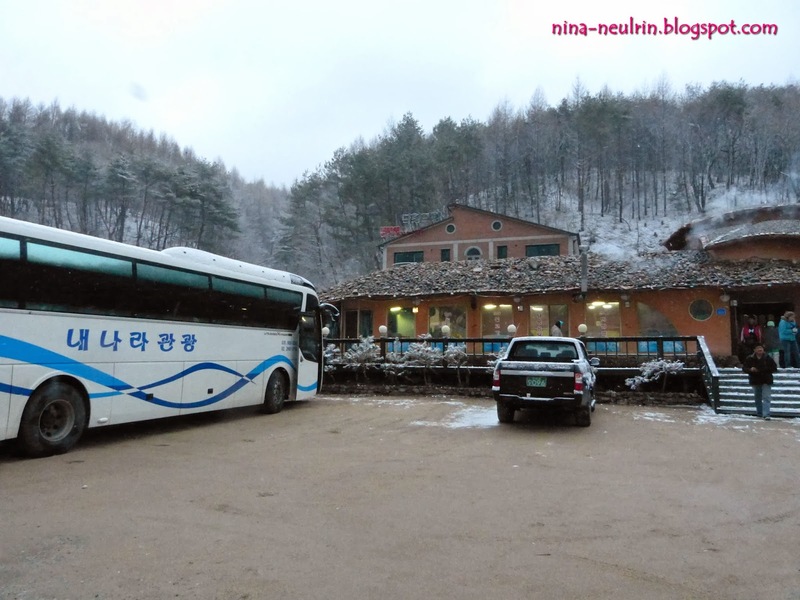 As everyone known, winter season already end around early April but it’s still snow at Seoraksan National Park, because at highest place like mountain – the temperature is still cold. Our tour guide told us, normally at mountain area is not having four seasons but it’s only having two seasons, like winter and summer. 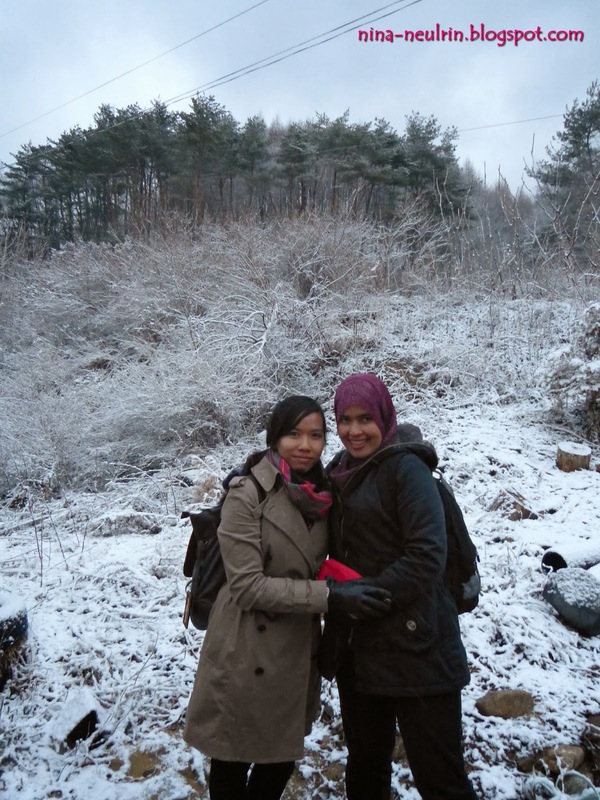 It’s my first time saw the real snow in my life, because in Malaysia, we can’t feel four seasons like in South Korea. 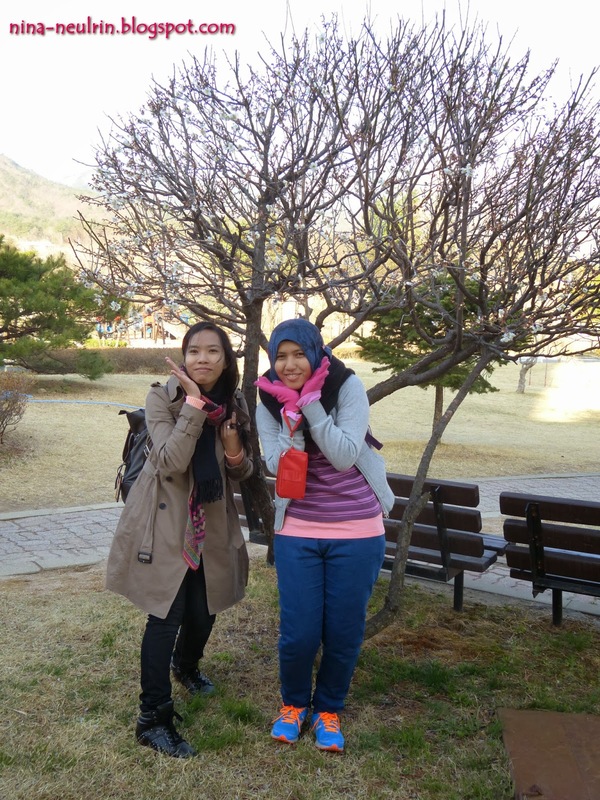 I so happy on that day because I can feel two seasons on early of April, 2013 at two different place in South Korea. I'm so lucky in year 2013!! The, we straight go to Daepohong Port. This place is fish men village and it has a lot of seafood. It's look so hot but the temperature is so cool for me. 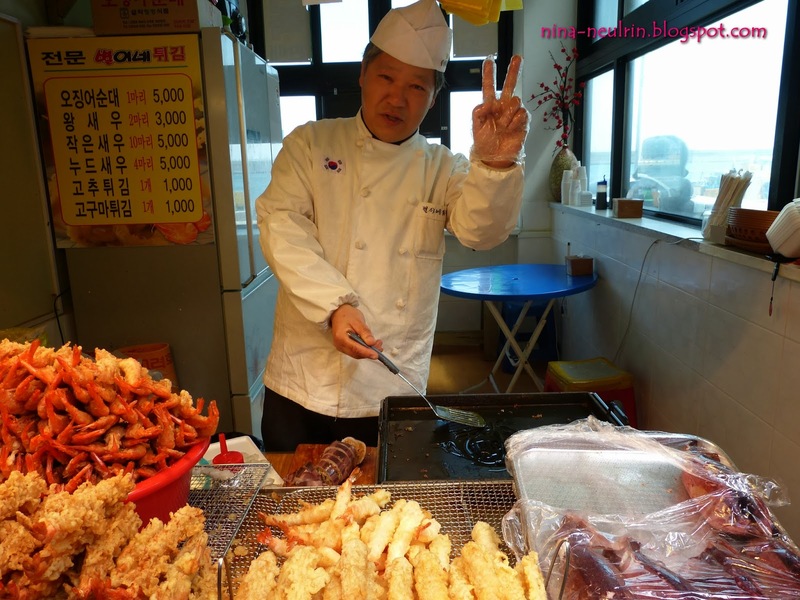 Supporting Korean uncle and he make "kimchi posse" at my camera. Hihihi~ So cute!! Look at the banner of his shop, it's has Malaysia flag.. Cool!! 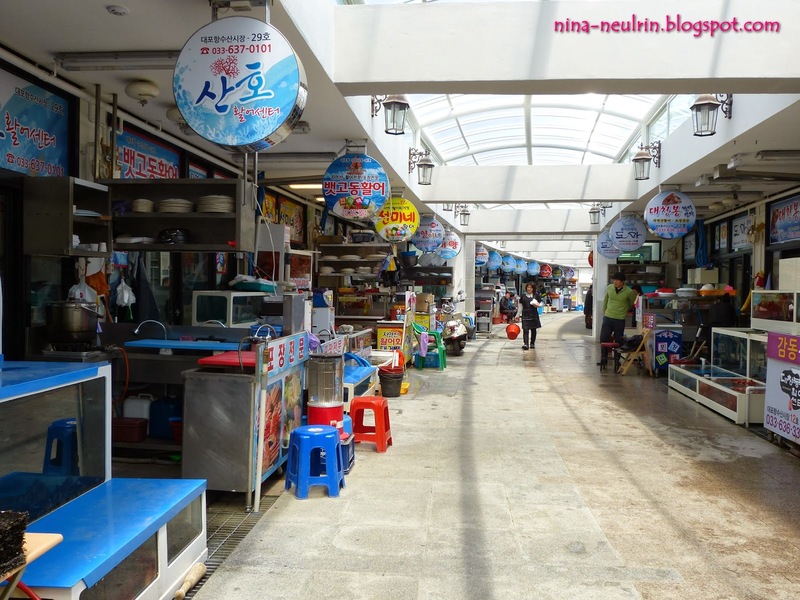 There are also has small shop that sold so many product from sea, for example seafood, fish and more. I try some fried seafood but I already forget what the name of that meal. What can I said that meal is so delicious. Then, we proceed to restaurant for our lunch time before long journey to our hotel at Phoenix Hotel. 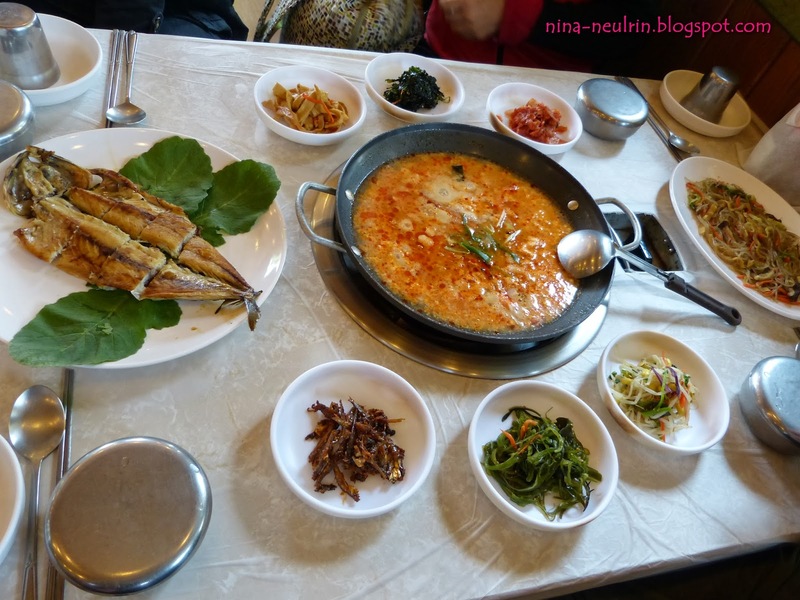 Actually, our restaurant just near by at Daepohong Port. Among Korean restaurant that I go in this tour, all of them normally serve their customers with plain water and their restaurant concept is eat on the floor. I love this concept so much because I can feel the Korean culture like on Korean drama, movie and variety show that I watch it. This is our meal. It name's is Haemultang. Haemultang is spicy seafood stew. Like I was said before this; we stay at Phoenix Park Hotel. This Phoenix Park Hotel and Resort is so famous for skiing and snowboarding at South Korea, but during our time their close for skiing and snowboarding even though it’s still snow but not for skiing and snowboarding. You guys known that Phoenix Park Hotel and Resort is the hit Korean TV drama “Autumn in My Heart” was filmed? Yes, it’s is. There have the scene that make filmed at Phoenix Park Hotel and Resort. As you guys notice, this resort also was filming on the famous Korean variety show “Running Man” and during winter season, there had concert too. Again, most the Korean TV drama filming location that I got chance to visit at South Korea during my vacation. I already visit the most famous Korean TV Drama Filming location during this vacation. Along at our restaurant, I so surprised when I saw the Running Man Restaurant that only opposite our restaurant. I take this chance to take the picture in front the Running Man Restaurant, even thought this restaurant not opens when time I go there. 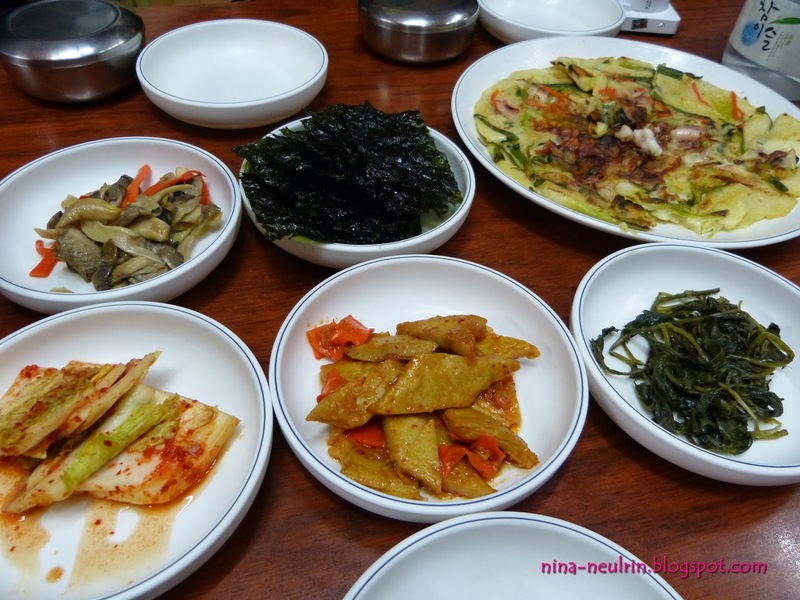 Here, our dinner meals; because of mountain areas – it’s so famous with the variety types of mushrooms. I try the 7 types of mushrooms soup this time. 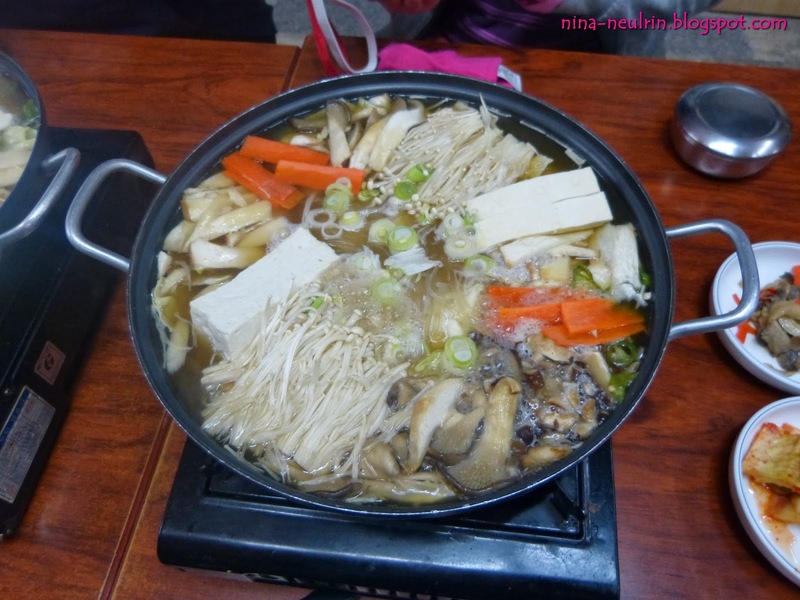 It is so delicious and its good take hot soup during cold period because it can make my bodies warm. 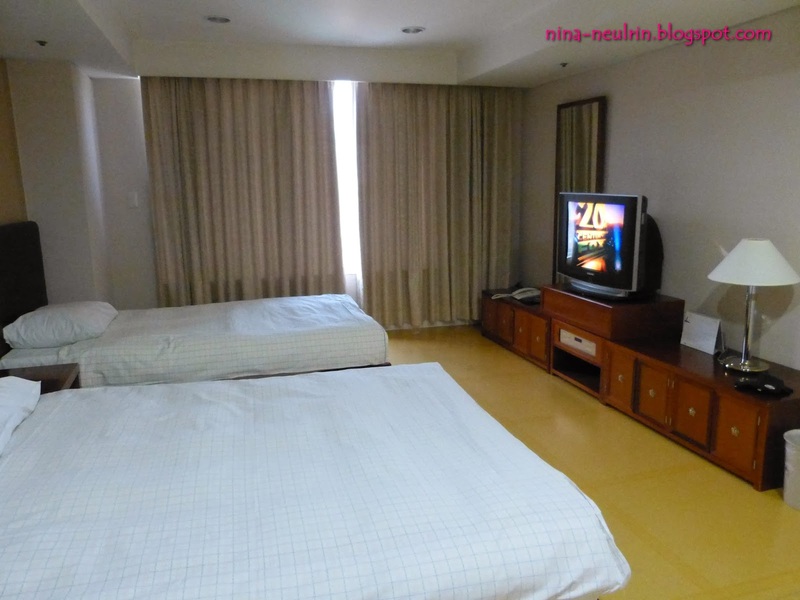 This time, our hotel room is modern concept and it’s quite big for 3 persons too. Actually, around this resort, its also have convenience shop so we can buy anything that the store. I never miss to take the picture with snow.. I think I already fall in love with snow. 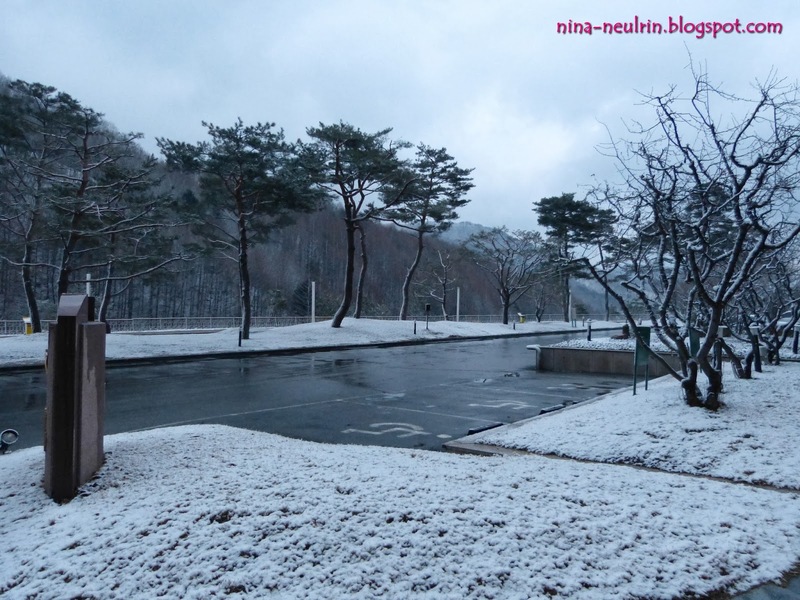 When I saw snow, I forget about the temperature during that period and maybe because I was born on January too. 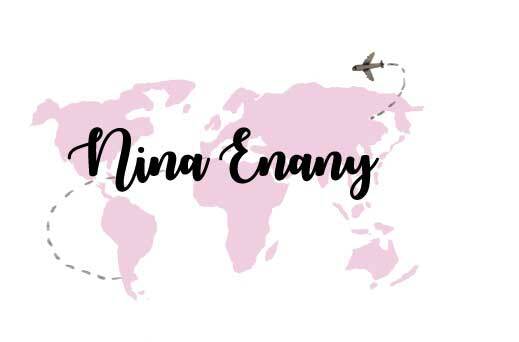 Here, my story of day 5 during my vacation. Enjoy your reading..